Do you know of any Pools in Spain that really should be listed here? Contact us!. If you might be looking for varieties of Melbourne Swimming Pool (City), it's beneficial to know many of them belong to gyms or sports centres which also give lessons. Get informed by calling the premises. Swimia.com has probably the most up-to-date database on the web about virtually any Melbourne Pool. Classified by countries, regions and cities, it is uncomplicated to find the nearest pool at the locations you visit. For Melbourne, you can have a look at the pools we have gathered for you. There are typically discounts on the market to senior citizens and smaller children for independent swim. 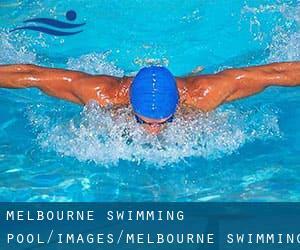 Discover by contacting your nearest pool among these varieties of Melbourne Swimming Pool (City). Traveling to Melbourne? This is the right spot on the net to find locations to swim in Melbourne. Each day you will be not swimming you are losing precious time in improving your skills to be a greater swimmer! No even more excuses! Come across your nearest Melbourne Pool and tell us how it went. Please use the get in touch with information supplied at each pool profile to check if they're offering aquagym lessons, mainly because is not so normal to see an Aquagym in Melbourne. Updated on 2019 Punt Road , Windsor , Melbourne Metropolitan Area , VIC , AUSTRALIA (Postal Code: 3181). Among all of the activities provided by the centre, if you are thinking about swimming you can expect to delight in 25 meters, 6 lanes, Indoors. Cooke Street , Clayton , Melbourne Metropolitan Area , VIC , AUSTRALIA (Postal Code: 3168). Among all of the activities offered by the centre, if you are keen on swimming you will appreciate 25 meters, 6 lanes, 1 meters - 1.64 meters depth, 1 meters - 1.64 meters depth, Indoors. If you need to get in touch with this Swimming Pool, e-mail address and phone number are both number. 63 Scott Street , Dandenong , Melbourne Metropolitan Area , VIC , AUSTRALIA (Postal Code: 3175). This sports centre delivers 24 meters, 5 lanes, Indoors. Contact data for this Swimming Pool for instance phone number and email address are number. Gleadall Street , Richmond , Melbourne Metropolitan Area , VIC , AUSTRALIA (Postal Code: 3121). Among all the activities provided by the centre, when you are considering swimming you'll enjoy Olympic size, 8 lanes, Indoors. If you must make contact with this Pool, email address and phone number are both number. Updated on 2019 Taylors Road , St. Albans , Melbourne Metropolitan Area , VIC , AUSTRALIA (Postal Code: 3021). Among all of the activities offered by the centre, if you're interested in swimming you will appreciate 25 meters, Indoors. If you might want to contact this Swimming Pool, e-mail address and phone number are both number. Updated on 2019 14 Dawson Street , Brunswick , Melbourne Metropolitan Area , VIC , AUSTRALIA (Postal Code: 3056). This great and large sports centre lets professional swimmers like you enjoy Olympic size, 8 lanes, 0.7 meters - 5 meters depth, 0.7 meters - 5 meters depth, Non-Chlorine Sanitized, Outdoors. Additionally, within these facilities you can try 25 yards, 0.7 meters - 1.5 meters depth, 0.7 meters - 1.5 meters depth, Indoors. Unfortunately we do not have the e-mail address of this Swimming Pool, but we can provide you with the phone number. Updated on 2019 8 Whiteman Street , Southbank , Melbourne Metropolitan Area , VIC , AUSTRALIA (Postal Code: 3006). Among all the activities offered by the centre, should you be interested in swimming you can get pleasure from 25 meters, Indoors. Just in case you would like to contact this Pool before dropping by, we only know the phone number. 40 Brougham Street , Eltham , Melbourne Metropolitan Area , VIC , AUSTRALIA (Postal Code: 3095). Swimmers like you reported 25 meters, Indoors. Phone number and e-mail address are number for this Swimming Pool. Updated on 2019 Bridges Reserve, Bell Street , Coburg , Melbourne Metropolitan Area , VIC , AUSTRALIA (Postal Code: 3058). Among all the activities offered by the centre, for anybody who is keen on swimming you will appreciate 25 meters, 6 lanes, Indoors. If you will need to contact this Swimming Pool, email address and phone number are both number. Updated on 2019 150 Tulip Street , Cheltenham , Melbourne Metropolitan Area , VIC , AUSTRALIA (Postal Code: 3192). Swimmers like you reported 25 meters, Indoors. Phone number and e-mail address are number for this Pool. Updated on 2019 139 - 153 Williamsons Road , Doncaster , Melbourne Metropolitan Area , VIC , AUSTRALIA (Postal Code: 3108). Few days ago a regular user of this centre told us they offer Olympic size, 8 lanes, Outdoors. Furthermore, they keep in good conditions 25 meters, 8 lanes, Indoors. Contact information for this Swimming Pool for example phone number and email address are number. Wellington Road , Monash University (formerly Clayton) , Melbourne Metropolitan Area , VIC , AUSTRALIA (Postal Code: 3800). This great and large sports centre lets professional swimmers like you enjoy 25 meters x 12 meters, 6 lanes, Indoors. Additionally, within these facilities you can try 25 meters x 10 meters, 6 lanes, Indoors. Unfortunately we do not have the email address of this Pool, but we can provide you with the phone number. Near Car Park 6, South of Kingsbury Drive , Bundoora , Melbourne Metropolitan Area , VIC , AUSTRALIA (Postal Code: 3083). Among all of the activities offered by the centre, for anyone who is interested in swimming you will get pleasure from 25 meters, Indoors. Just in case you would like to make contact with this Pool before dropping by, we only know the phone number. 258 Scoresby Road , Boronia , Melbourne Metropolitan Area , VIC , AUSTRALIA (Postal Code: 3155). Among all the activities provided by the centre, should you be interested in swimming you might take pleasure in 25 meters, Indoors. If you need to contact this Swimming Pool, email address and phone number are both number. If you're tired of getting eyes and irritated skin, obtaining a saltwater pool in Melbourne can be the solution. You should understand that the level of salt from these pools is well beneath the level of salt from sea water, particularly they're talking about a tenth or much less. Enjoy the best indoor pools in Melbourne and don't worry about the weather. These facilities are open all seasons and you can enjoy a swim at the same temperature every day of the year. There are several reasons why you should choose a heated swimming pool in Melbourne. One of the most necessary one relies on the significance of keeping the body temperature stable. If the water is as well cold, your body will try to warm it up and you will lose strength to swim effectively. One on the advantages of outdoor swimming in Melbourne would be the possibility to sunbathe throughout the summer time season. Taking it with extra care, sunbathing is wholesome since introduces Vitamin D into the body, so the perfect option seems to be switching between indoor and outdoor pools based on the season. There are a lot of alternative remedies to chlorination, with wonderful advantages that ensure far better water high quality in the pool. One possibility will be the mineralizer, which purifies water naturally and substantially decreases the chemical substances used and maintenance time. Try Chlorine Free pools in Melbourne.